Take advantage of DPI Direct’s digital printing services, which are ideal for business cards, short run posters and booklets, variable data printing (VDP), and more. Imagine your corporate brochure printed overnight for an upcoming trade show—without the hassles and setup costs of traditional metal plate offset printing. Order just the amount of brochures that you need. Trifold, letter, legal or tabloid size can all be printed using our digital presses. Premium papers with smooth, textured, glossy and matte surfaces are all available. Full color, two-sided business cards that are sure to impress at your next meeting. Using your print-ready files or our designer’s creative layouts, your job can be printed on an array of paper stocks including super-thick 130 lb. card stock, making them difficult to distinguish from offset-printed cards for a fraction of the cost. Our fast-turnaround premium color copies are a cost-effective alternative to traditional offset printing. Double-sided printing and paper stock from 24 lb. bond to 130 lb. cover stock can all be used. Need several 100 color booklets with wire-o binding for an upcoming event? Just bring us your original hard copies, or for maximum reproduction quality, we can output your documents directly from digital files. With custom color calendar printing, your impression is made every single day of the year. Make it a good one, with professional calendars designed by our professional designers utilizing your consistent brand elements. Or, if you have a print-ready file, we can put our quality digital printing to work for you, ensuring your calendars come out vibrant and sharp. Using our in-house digital printing services, we can provide fast-turnaround label printing, with standard or custom shapes so that your labels stand out from the competition. Digitally printed sheet and roll labels are available on standard adhesive or craft materials, and in virtually any shape or size. From simple one-color mailing labels to full-color custom price tags, we can help you produce almost any label imaginable. Grab attention and get your sales program off the ground with gorgeous full color flyer printing. With many paper stocks available and sheet sizes up to 20″ x 29″, digitally-printed flyers offer a considerable savings over traditional offset techniques. And for last-minute needs where you may have a surprise sales pitch or trade show event the very next day, digital flyer printing can ensure that you arrive with professional marketing materials that will help you make the sale. Get your business off the ground with professional letterhead printing, without the expense of offset. Standard paper stocks or a variety of custom papers can be used to achieve a unique appearance. By incorporating your personal or corporate brand elements, we can create short-run custom-printed letterhead that is uniquely you. Any newsletter can keep an audience informed, but a full-color newsletter printed on our high quality digital presses will have important readers engaged and impressed. Choose from a variety of available paper stocks including dull coated, high gloss, or uncoated to create a unique brand impression. With our digital newsletter printing process you can add scoring, folding and die cutting options, even when you are only printing a small quantity. 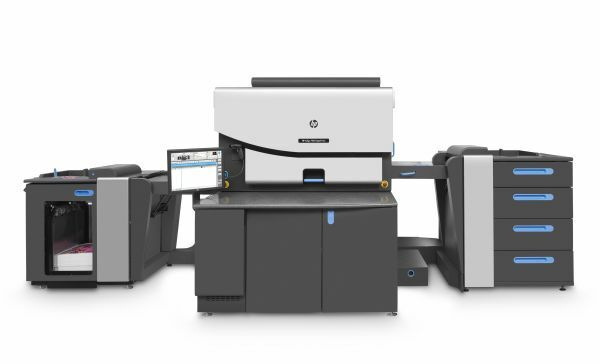 With the HP Indigo 12000 Digital Press, we are able to print affordable short-run posters at any size up to 20″ x 29″ and at nearly offset quality. Talk to us about options for creating unique, powerful posters that will make your campaign a gleaming success. And if you need a larger size, our in-house large format printing capabilities allow us to cover your building with imagery. Stickers help spread awareness of your brand everywhere you go. Get creative and explore the many applications for marketing your company with sticker printing. We can print special sizes and die cuts to showcase your logo with creativity. We utilize in-house die cutting equipment to offer kiss cutting and die cutting to help save you money and keep your sticker printing project on track. DPI Direct offers a multitude of binding and finishing options to suit your publication and audience needs.